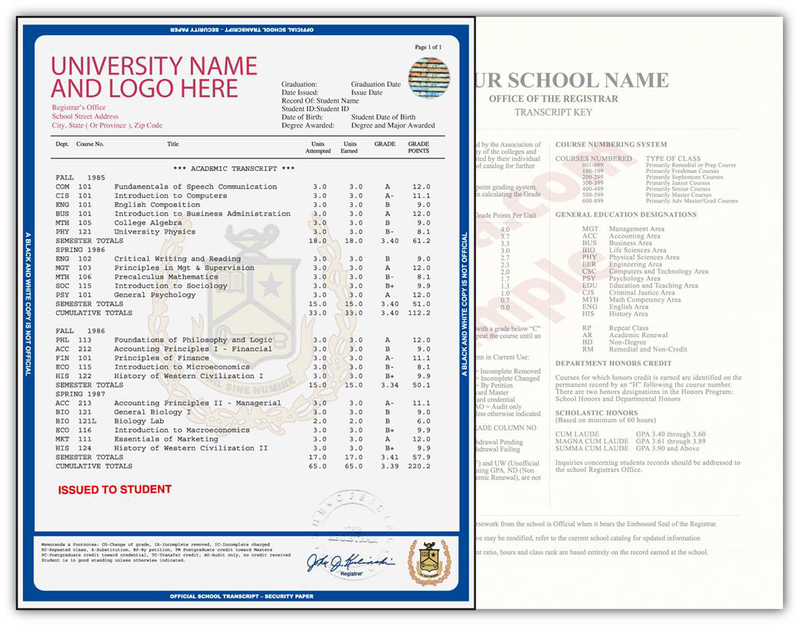 Fake college or university transcripts using our "house design"
Thank you Steve. You're the best. That's perfect, thank you so much Audrey!! abdul: almost done. its quarterly too. Steve: OK abdul: ok done abdul: should i submit it? Steve: Yes abdul: its done now Steve: Great. One thing, provided the "major" - health science, but have not provide the "degree" - AA, BA, BS, MA, MS, PhD? abdul: BS abdul: THANK U Steve: We're all set then. Thank you for working with me to get this straightened out. Steve: I'll email new receipt abdul: thanks. and also the customized thing Steve: No problem. Designer may want to email you the template so you can make any changes. abdul: ok you're awesome Steve: Thank you for chatting. I'm happy to answer questions anytime. Goodbye. Received my transcript today, fantastic work, thanks so much! Steve, Last order was great ,I was a little sceptical but you all blew me away, great quality. I am ready for a second order. If I place it by 11:00 am tomorrow, and use next day shipping will it be enough time to have it here for Monday? Steve- Received yesterday…thank you. Awesome job….let me know if you need a testimonial.